People ask me if I feel lucky to live in the United States after having come back from my trip to Haiti. Though I am grateful and do feel lucky that God has chosen me to live in the comfort of the states, I often ask myself why. Does he want me to enjoy His grace and be glad that I wasn’t raised in a third world country? I choose to believe that that is not what I was meant for. It is clear that nothing is random and every individual serves a purpose. For some, when God calls them to serve, they pick up and go, but for others, it becomes more apparent later in life. In Haiti, I saw things that weighed heavily on my heart and mind. I felt sorrow and helplessness for the citizens of Haiti because the need is so great, and the organizations set up to help appear to be doing very little to address the real needs of the people, such as providing food and shelter. I noticed very quickly how poor the poor are and how wealthy the rich are. Extreme poverty is right in the backyard of the wealthy. 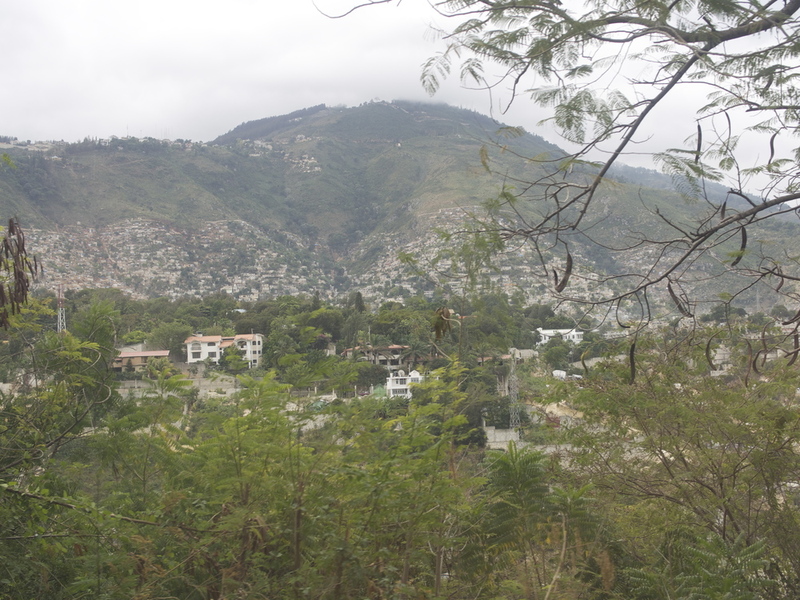 Haiti is a very mountainous country, and the poor live on the bottom of the hills; as you climb up the roads, the properties become more lavish and prominent. The roads are congested with no traffic regulation. Everybody drives on instinct and very often drive on the opposite side of the road. In addition, foot traffic is unexpected and sudden since street vendors line all of the streets selling whatever they make, find and/or steal. I realized very quickly that in order to survive in this environment, everyone must truly “hustle” and make money in any way they can. Although there was a language barrier, the universal language for “hello” really helped me interact with the children and other Haitian natives. From there, the Holy Spirit filled my heart with compassion and hope. I felt defeated earlier due to the massive odds that the nation was against, but that was irrelevant to the work I was there to do. I felt the uplifting energy and spirit lead me to engage and interact. 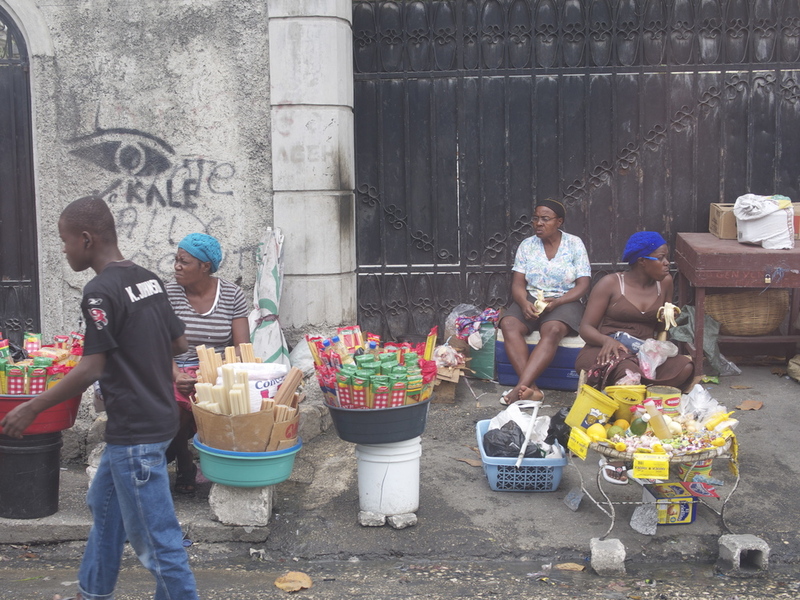 Everyday, many Haitian citizens experience struggle and strife. I wanted to show the love of Christ to them and let them know that I cared about them. I could see very quickly that these people lived in poor conditions but their spirit was not poor. They had so much energy and will to live. God sent me to Haiti to open my eyes and see how much his people were struggling. Now as a response what must I do? God has called me to love every individual with unconditional love. It is still unclear if I will continue to serve in other countries, but until then, my mission fields are in the communities I live and work in. I have definitely developed a greater understanding of God’s grace and how He reveals Himself in ways I could not have imagined. I will continue to challenge myself and others to serve even when it may be difficult in order to bring others to Christ.